I’m fascinated with the idea of making tree syrups, but tapping multiple maples, and boiling vast quantities of sap for hours is a little daunting. Plus, I don’t live somewhere I can tap a lot of trees. So I was thrilled to learn I could make a quicker, easier syrup by boiling the bark of the shagbark hickory tree (Carya ovata). It’s easy to harvest bark without damaging the tree, and the syrup is light, sweet, and has a distinctive smoky flavor. You will not be surprised to learn it also makes an excellent cocktail ingredient. The bark is the most distinctive feature of the shagbark hickory (hence its name). Large pieces of thick bark turn up at the ends, giving the tree trunk a shaggy look. To harvest bark for this recipe, break off pieces four to six inches long, from the loose, shaggy ends of the bark strips. Don’t peel off any bark that is firmly attached to the trunk of the tree. This may open up wounds that invite insect, fungal, or bacterial predation. Spread the bark pieces on a cookie sheet and roast them for 20-25 minutes. They should smell lightly smoky and spicy when you take them out of the oven. Transfer the bark pieces to a large pot and add enough water to cover. Bring the water to a boil, then reduce the heat and simmer for 30 minutes. Strain the liquid and throw away the bark, thanking it for its service. Measure the liquid and return it to the pot. Add an equal volume of sugar, and bring the mixture to a boil. Reduce the heat to a low boil/high simmer, and keep it on the heat, whisking regularly to avoid scorching. Continue to cook the liquid until it’s reduced by 25-30%, then remove the liquid from the heat and let it cool. Pour the syrup into bottles or canning jars. For long term storage, process canning jars in a boiling water bath for 10 minutes. Syrup will last in the refrigerator, unprocessed, for several months. 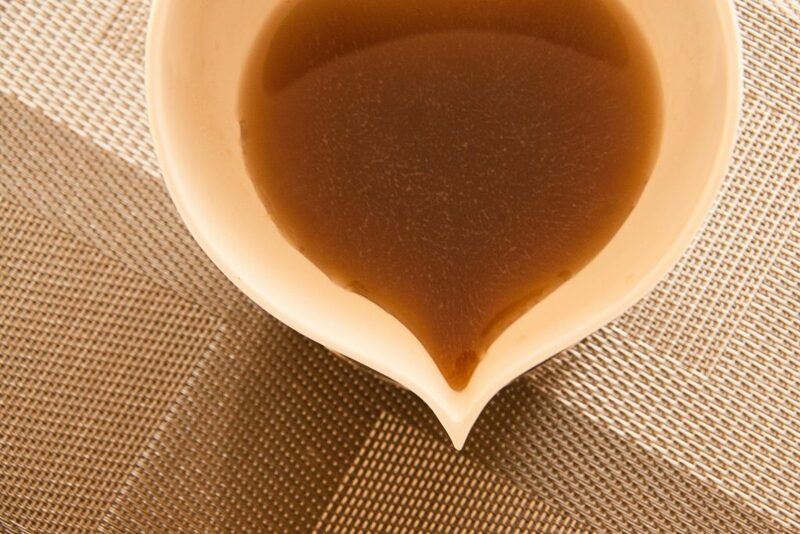 If your syrup crystallizes, pour it back into the pan, reheat, and stir to dissolve. Don’t worry, the syrup will still taste fine. Even maple syrup crystallizes when it’s been in the refrigerator for a while. To prevent crystallization in the first place, you can substitute corn syrup for some of the sugar. Corn syrup is an invert sugar, which means it prevents crystals from forming. Try substituting corn syrup for 25% of your sugar to avoid crystallization. Or, add a dash of cream of tartar or citric acid to your syrup, to prevent crystals from forming. Shagbark hickory syrup can be used in place of maple syrup on pancakes or waffles. Use it to flavor sorbets or ice cream. It’s also tasty swirled into yogurt, in a glaze for chicken, pork, or salmon, or as a cocktail ingredient. Try mixing it with equal parts sumac infused rum for a special treat. I have never seen a shagbark hickory tree. Where do they grow? Mostly in the eastern US, some in the midwest. We’re lucky to have them nearby in PA. The USDA shows them growing in MI. The best! You can also simmer the toasted bark in water and then enjoy the infusion lightly sweetened as a warm tea. Laura, your shagbark hickory syrup cocktails are some of my favorites! If you’ve published them, I’d love to link to them. I agree about maple syrup ….it’s fun but a lot of work and storing sap until you get a big enough batch is not easy . I did not know you could make syrup from shagbark hickory! I wish they grew in northern Wisconsin. When I make a trip to southern Wisconsin, I will be on the look out ! I’m assuming you can harvest the bark year around which makes the shagbark hickory an awesome tree. I just may purchase some bark from Etsy and make some syrup. Thank Ellen ! Love your podcast and all of your foraging recipes! Hi Katie! I’d love to make maple syrup some day…it’s on my bucket list. We don’t have shagbarks in NM either, but I manage to collect some bark whenever I’m in PA.